Central Coast? A Run to Paradise? There has been strong price growth in the past 3 years, with the potential for more to come. This has be vastly due to the rippling effect of the Sydney Property Market. (Sydney you just keep sharing the love around!). It has great proximity to Sydney, with a daily train commute taking between 60-90 minutes. Just be mindful to not overpay. There are a lot of Sydney Investors driving north on the weekend to purchase an investment property, and with little stock on the market, you can find yourself in a bidding war, and pay over market value. You might think this will ride itself out in years to come, however, it’s the bank valuations that this can impact. Leaving you with less borrowing capacity than you first anticipated. So talk to people who know what they are doing. Outside of the hyped up areas, there are still deals to be done. The southern parts, closer to Sydney, were the first to see the growth, but in the north the affordability is better and also in growth. I personally prefer the northern parts of the Central Coast, an area I have property investments in. The northern areas are also quicker to drive to from Sydney, due to the freeway access. The freeway access from the M1 on the motorway link (or Doyalson Link), allows commuters to travel at 100km/ph from the areas of Doyalson, San Remo, Blue Haven, Charmhaven, Lake Munmorah, Chain Valley Bay, Budgewoi, to name a few. 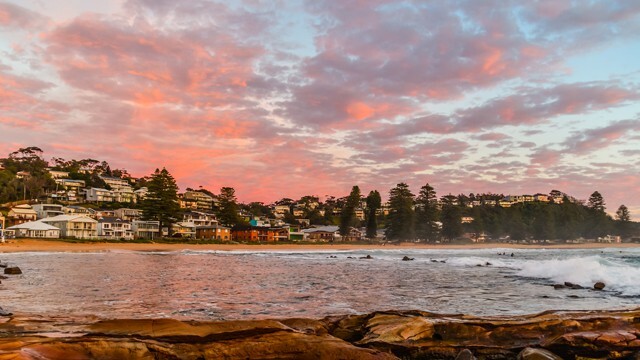 If you are looking at buying investment property in the central coast, attend a solid handful of inspections, speak with the agents in the area, and talk to investors who have property in the central coast. The difference could well be $50K.. from spending more than you need to on a place that returns lower yields.